I’ve had a bit of a postcard drought lately! 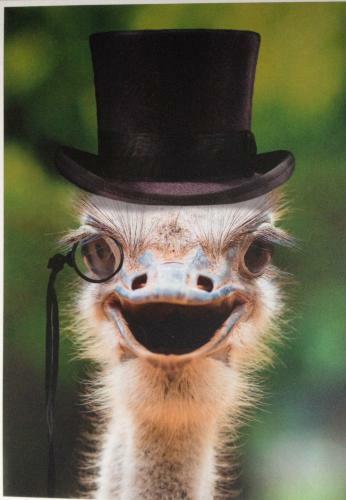 But I just got this adorable postcard from Liset in the Netherlands and it made my day! Nights are getting colder, the air becomes humid, and I really, really don’t feel like going outside. I prefer staying indoors with a big mug of tea and with the heating turned on! I feel the same way in autumn and winter Liset!! Postcards primarily sent via Postcrossing, an online community that allows people from all over the world to send and receive postcards. 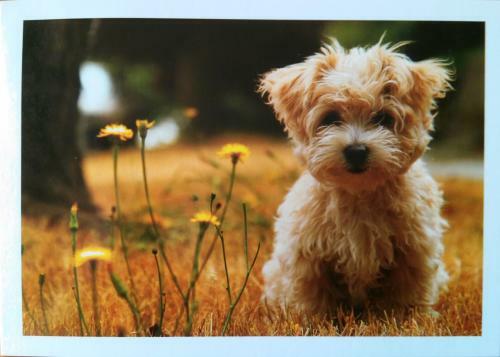 Cici is a 9 year old girl in Guang Zhou, China who (probably with the help of her family) sent me this adorable postcard. What a cute dog! She also drew on the postcard some flowers and what I believe is the character Totoro. This was very sweet. I love it when Postcrossing becomes a family affair! 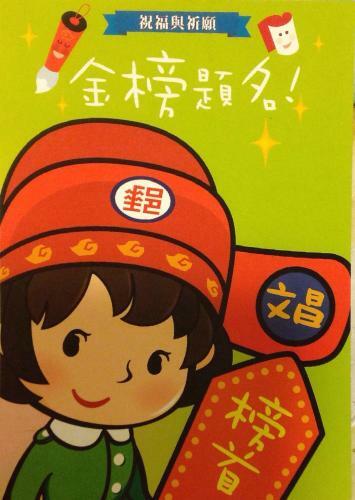 Yoyo chose to go cute and quirky with the postcard she sent me from Taiwan. I have no idea what the text here says and she didn’t translate for me. Anyone who knows, please feel free to comment! It almost looks like a holiday postcard, but I can’t be sure. Either way, it is adorable! Thanks Yoyo! 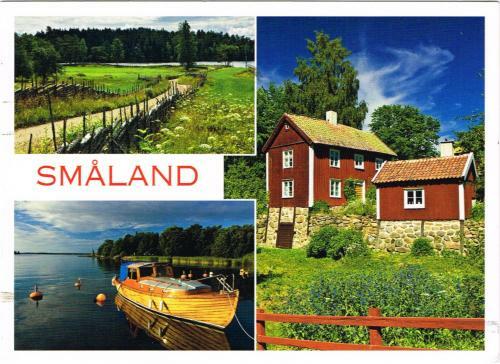 Walter sent me this lovely postcard with views from Sweden! It was my first postcard from Sweden! He wrote in his message that he loved Sweden and the nature. It does look wonderful! He also wrote a small phrase in his language that it difficult to read because of the postmark, but I believe it says “Många hälsu ugat.” Right before he wrote this he said “Many greetings” so I assume this is what it means. To be sure, I went to Google Translate! It turns out I just couldn’t read his handwriting, but I was close! The actual Swedish phrase should read “Många hälsningar.” Now that I look again, what I thought was a “u” does actually look like the other “n” characters that he made. Thanks Walter for teaching me this phrase! 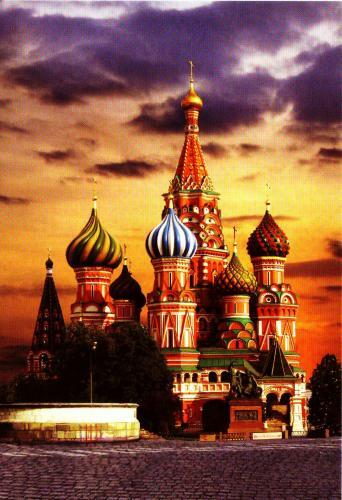 Evgeniy sent me a beautiful postcard showing St. Basil’s Cathedral in Moscow, Russia. This is gorgeous! I love the building and it is so iconic as a part of Russian culture. The photo is also lovely, with the lighting and angle. It is almost eery as well as wonderful. Thanks Evgeniy!! Sinela did not have a special request for a postcard, so I really just chose one at random. 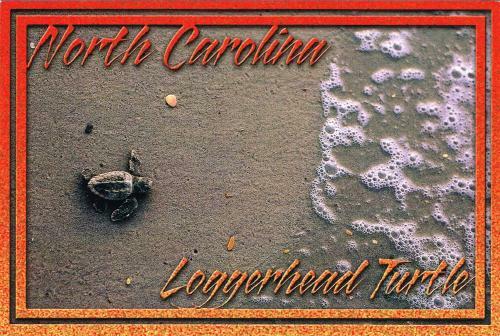 I thought this postcard was cute with the tiny turtle, and hoped she’d like it! Turns out she did think it was cute! In her receipt message she said, “Thank you so much for the beautiful postcard. It’s so cute the little turtle. I really like it.” I’m glad this was a good choice! Ksenia sent me this lovely view of the Lower Park from the Golden Hill Cascade in Peterhof. Her English was rough, but I understood her sentiment in her message. 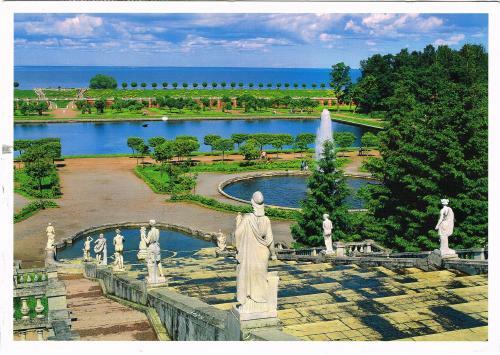 She said she loved living in St. Petersburg and asked me if I knew anything about this location in the Postcard, Peterhof. I do not know anything about this place. According to Wikipedia, it is a palace and UNESCO World Heritage Site. It looks gorgeous!!! Ksenia also wrote that she likes to read, and her favorite author is Remarque. Otherwise known as Erich Maria Remarque, his best known novel is called All Quiet on the Western Front. I will have to check that out at the library!